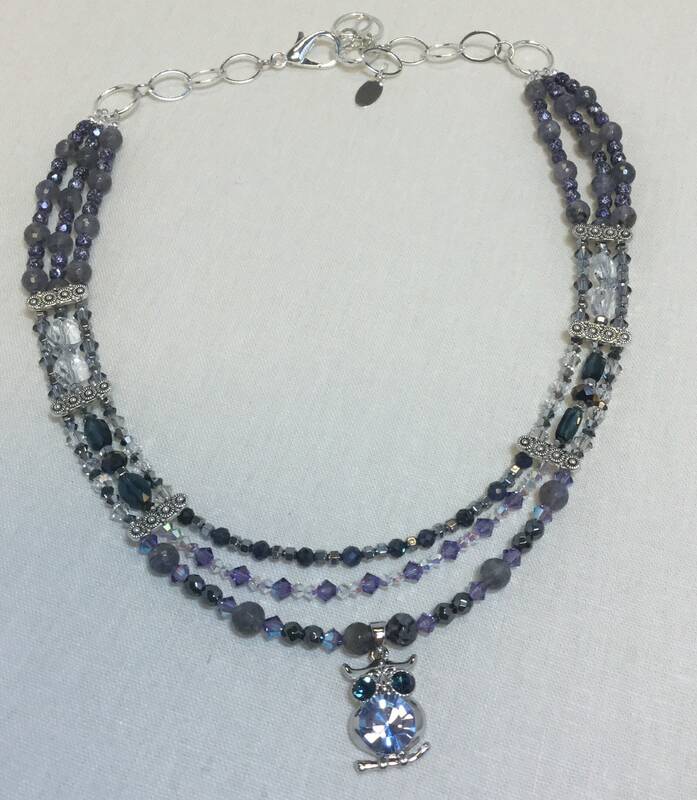 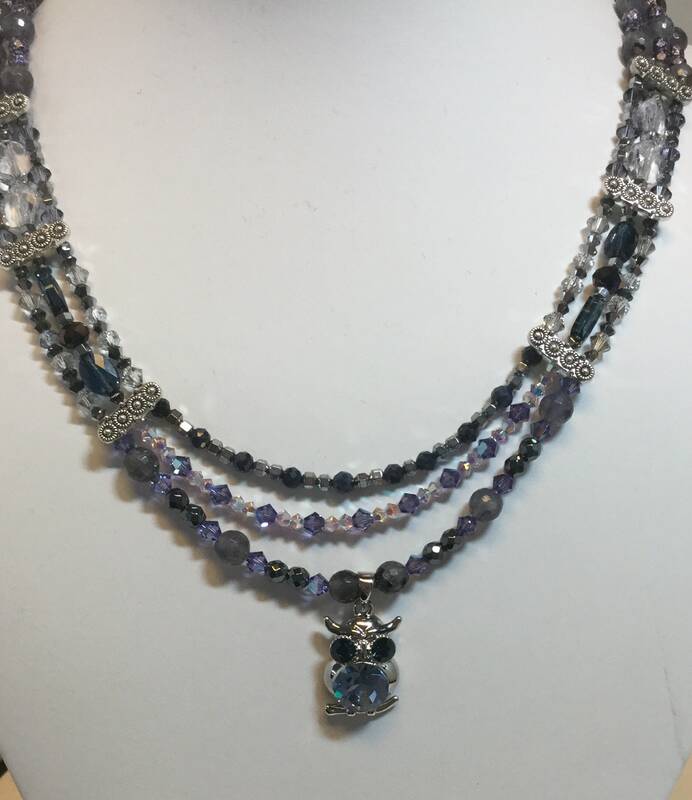 This triple strand necklace features an owl made from Swarovski crystals. 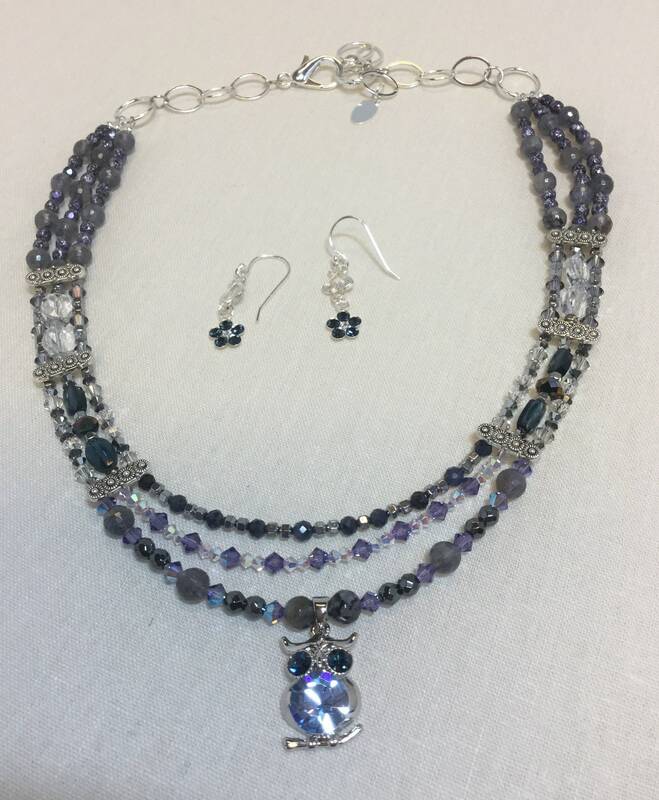 The three strands combine crystals, hematite, iolote, and Czech beads. 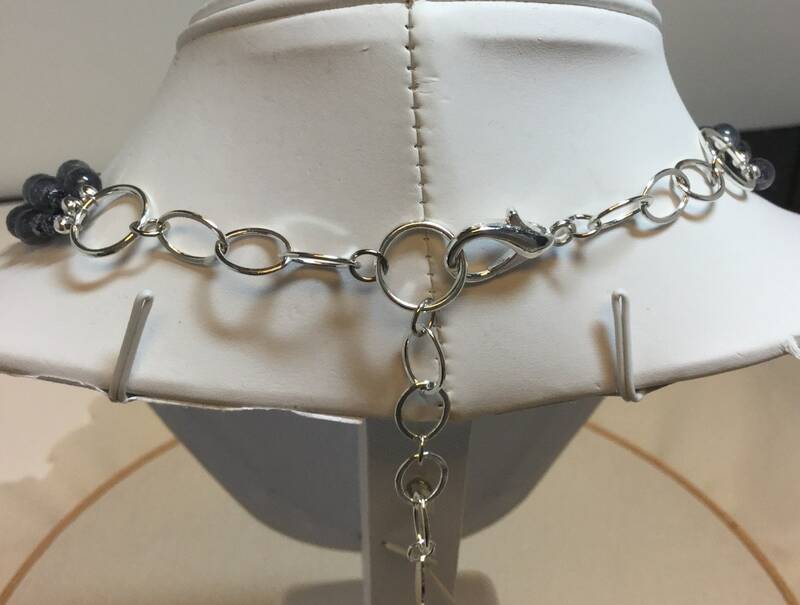 The necklace measures 18 inches and can be adjusted using the sterling lobster clasp and chain. 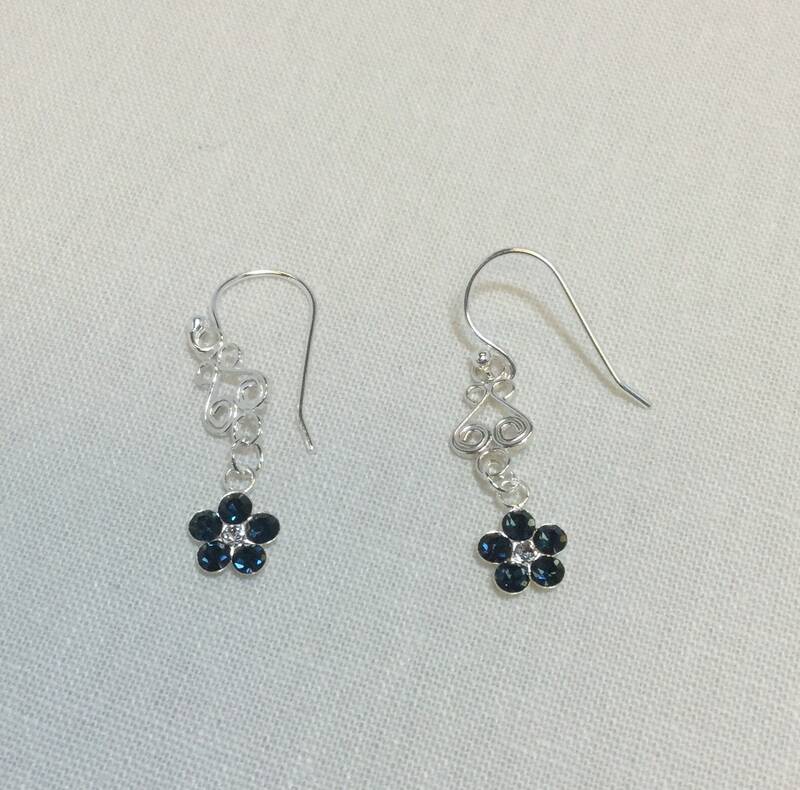 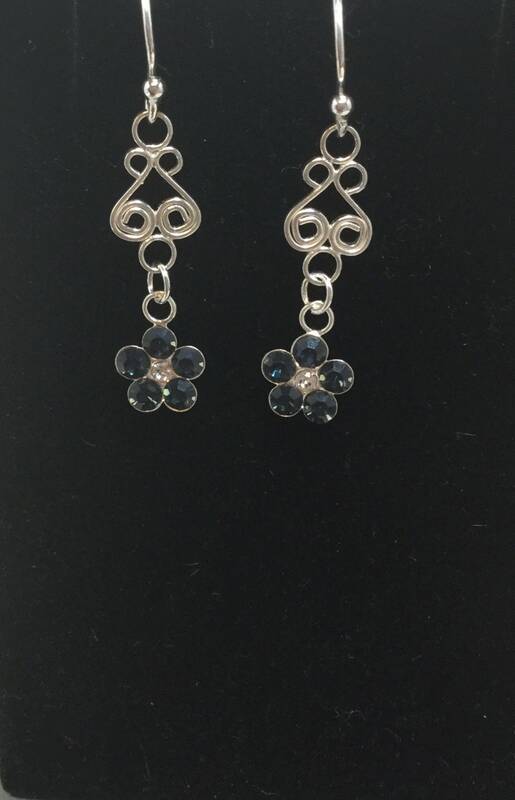 The matching earrings drop blue crystal daisies from delicate sterling chandeliers.